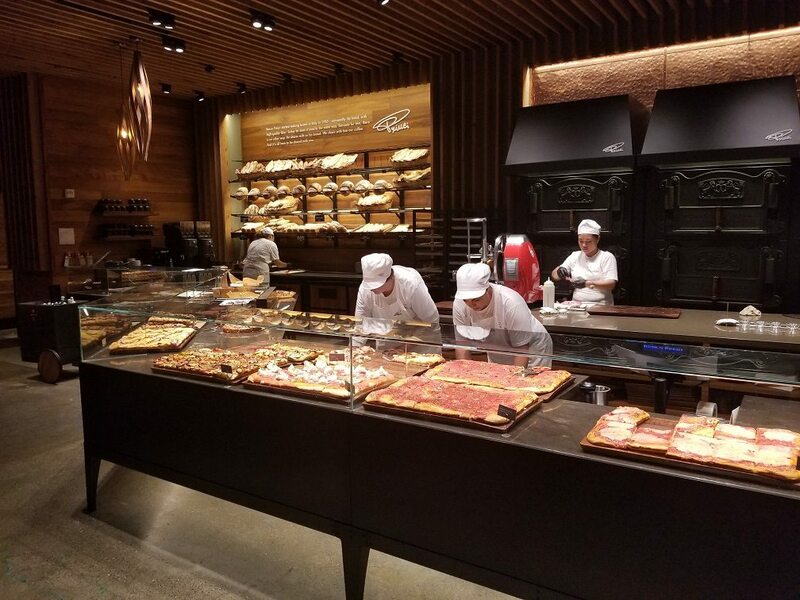 Starbucks opens Princi Bakery: Delish & high quality. 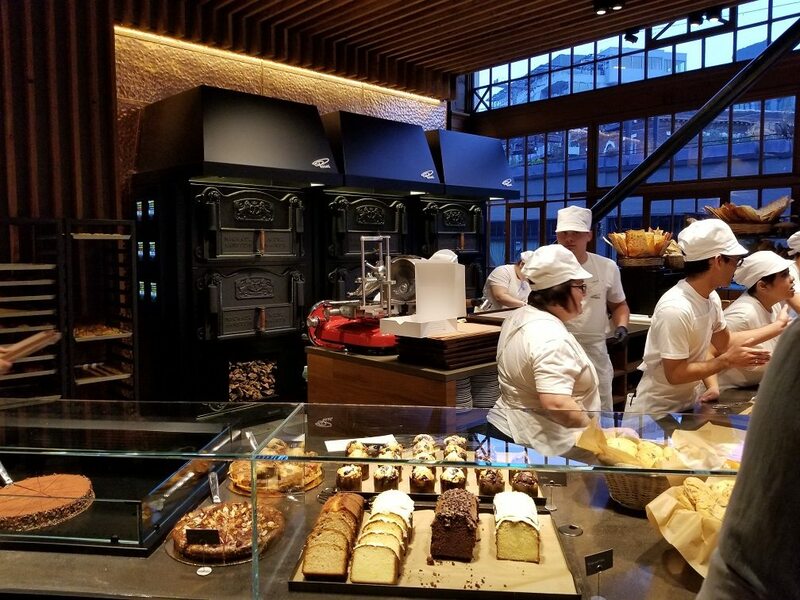 At 7:00 AM on November 7, 2017, Starbucks unveiled the first Princi Bakery in the U.S., which is inside the Seattle Reserve Roastery. It’s an experience of Italian craft, love, and a lot of flour, water, and other quality ingredients. Princi offers a changing menu of foods to complement whatever time of day you visit. Arrive at 7:00 AM and you’ll find breakfast. Mid-day the menu offerings cater to lunch, and by dinner you’ll find slices of pizza and more. 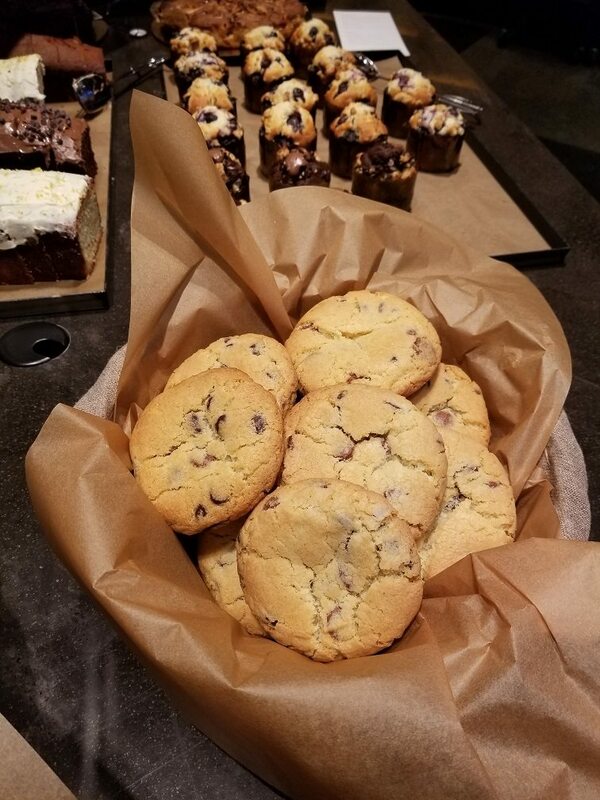 There are sweet treats throughout the day. 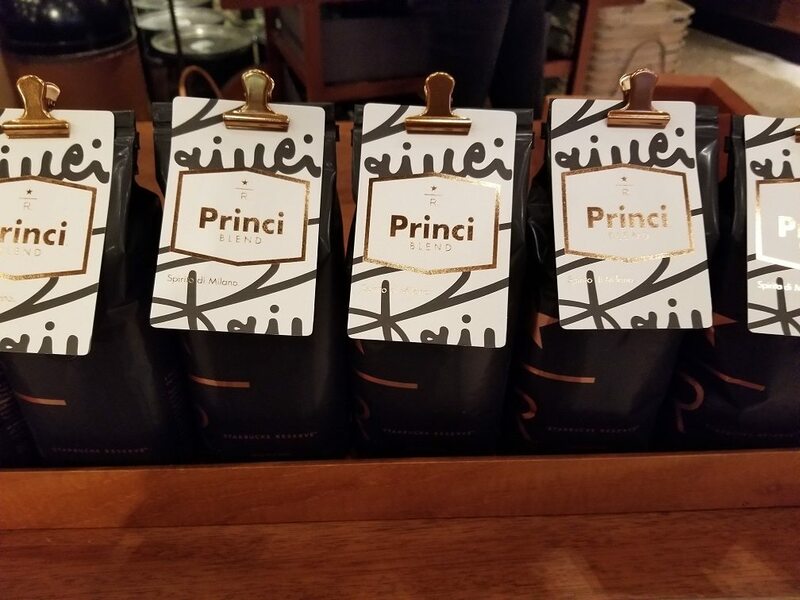 There is now a Princi Blend coffee – experience it by the cup inside Princi or take a bag home with you. 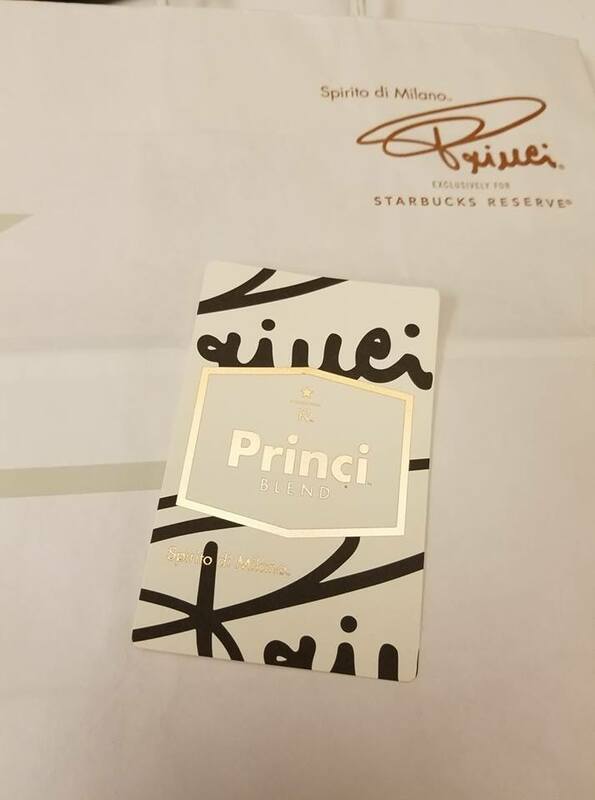 Princi Blend is a wonderful, sweet dark roast coffee using Brazil and Colombia beans. I really like Princi Blend! 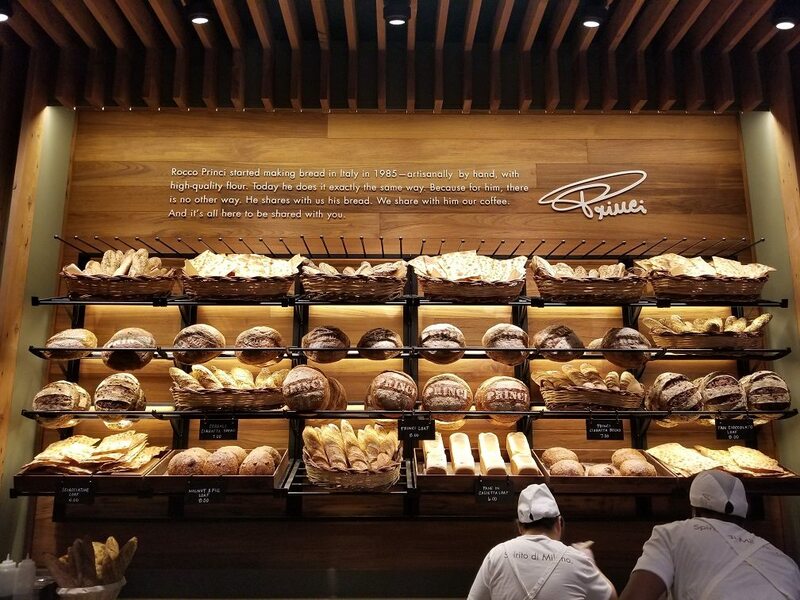 Pane (artisan breads, served all day): Fresh, earthy, aromatic breads that are the heart and soul of Princi. Naturally leavened loaves, ciabatta and sfilatini crafted from premium Italian-milled flour. 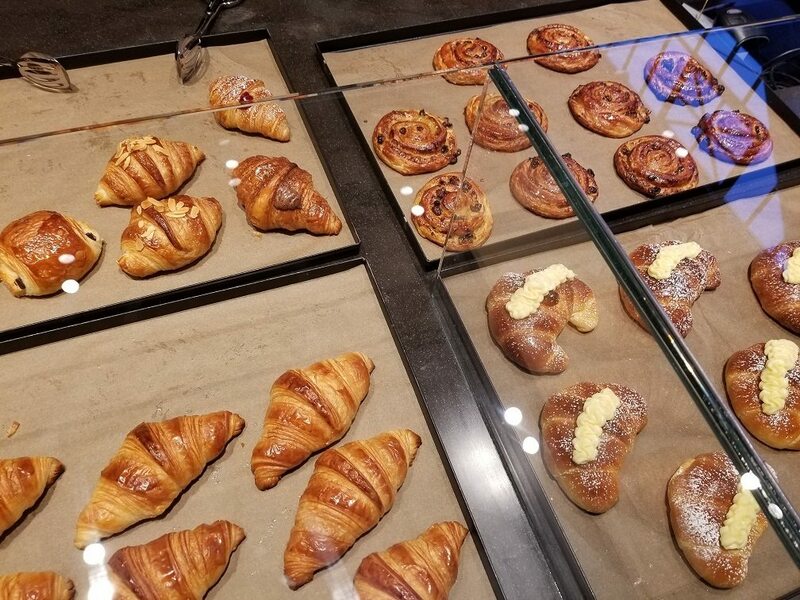 Mattina (breakfast fare, served until 11am): Morning menus may include Princi granola in Greek yogurt, steel-cut oats with Italian jam, baked eggs in a spicy tomato or rich porcini sauce, and cornetti breakfast sandwiches made with prosciutto cotto and fontina. Pizza (served al taglio, 11am to close): Crafted on a focaccia base, brushed with housemade Pomodoro sauce and topped with premium ingredients like mozzarella di bufala, speck and scamorza, roasted eggplant and colorful peppers. 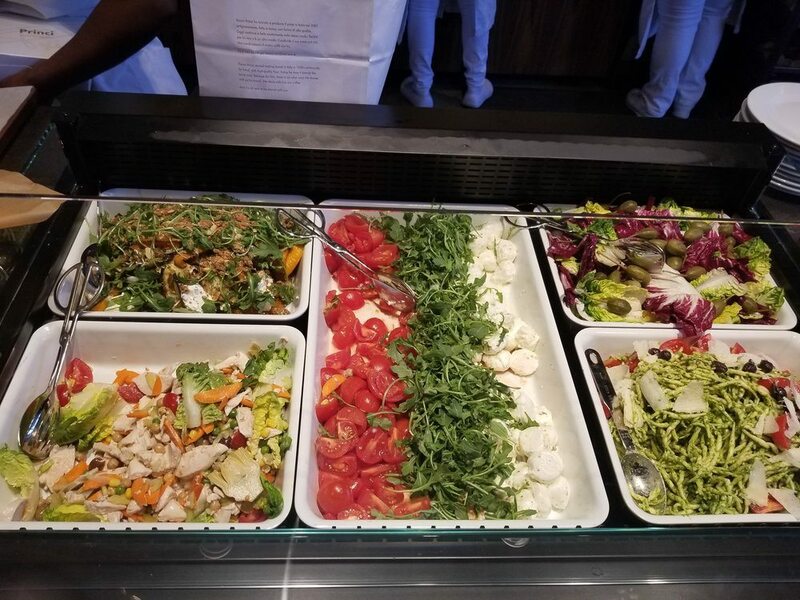 Pranzo (lunch selections, served 11am-2pm): Colorful salads, seasonal soups, focaccia sandwiches filled with bresaola and artichoke cream, salame Milano and mozzarella di bufala, roasted vegetables or pistacchio mortadella. Aperitivo (cocktails and small plates): An inspired menu of beer, wine, spirits and small bites, including crispy focaccia with nduja and gorgonzola dolce, Cerignola olives and 24-month Parmigiano. Dolci (handmade desserts, served starting 2pm): Princi desserts are edible art; deliciously indulgent, beautifully crafted and impossible to resist. 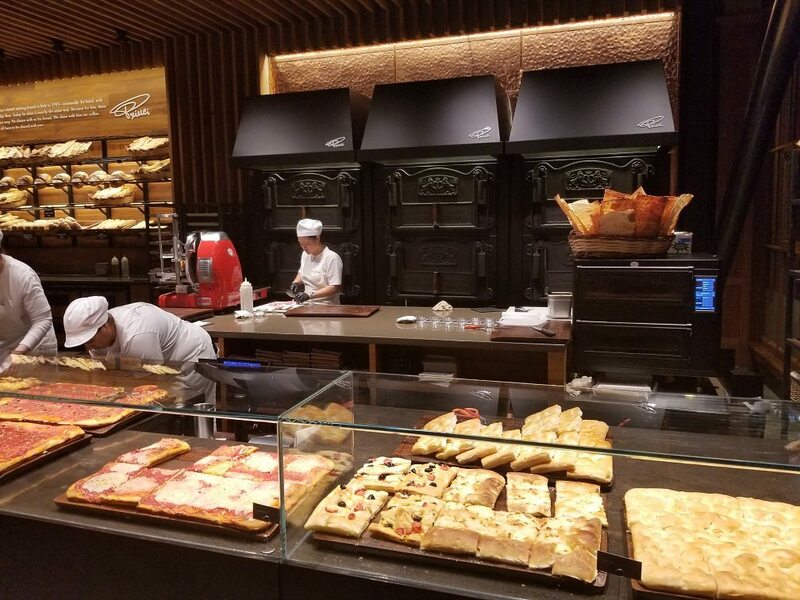 Offerings include fresh-baked cookies, rich tarts and chilled delights like tiramisu, delizia al limone and crostata fragola. When you walk in, there are no menu boards, and no to-go paper menus. Ask a Princi employee what’s available! They are your guides at a Princi bakery. There is no line. I have seen this cause some chaos already. You just walk up and order but there is – intentionally – no clear line formation. The food quality is delicious. I want to comment for a moment on the pricing: It is a little expensive. Though eating out in Seattle IS universally very expensive. Truth is when I travel to Orange County, eating out seems to cost so much less! 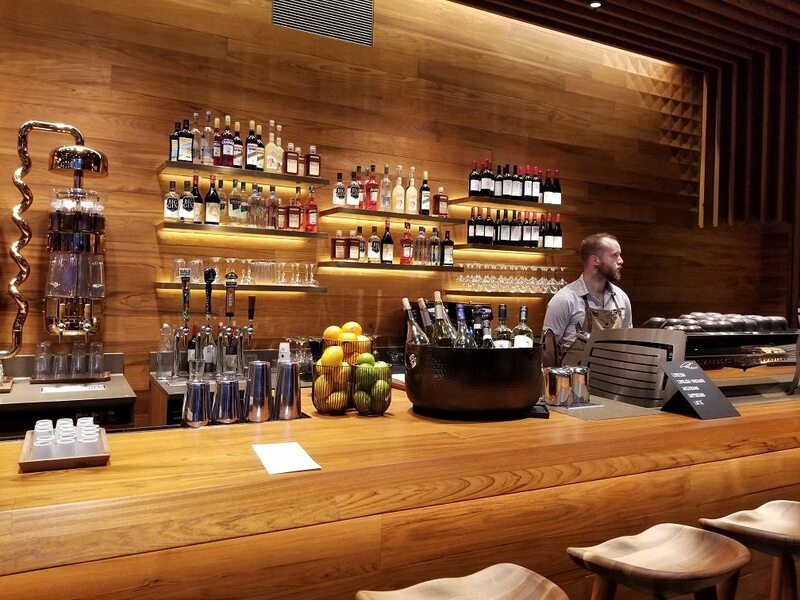 When the Seattle minimum wage increased to $15 an hour, one clear effect was that across the board many restaurants and eateries had to increases their prices. From what I can see, the restaurant industry was significantly impacted by the $15 an hour law in Seattle. Feel free to disagree with me: just my two cents. The food is amazing. On Friday November 10th, I ordered a couple of salads for lunch. I had two half portions of two different salads and was in heaven. One was a squash, zucchini salad and the other was arugula, tomatoes and mozzarella. 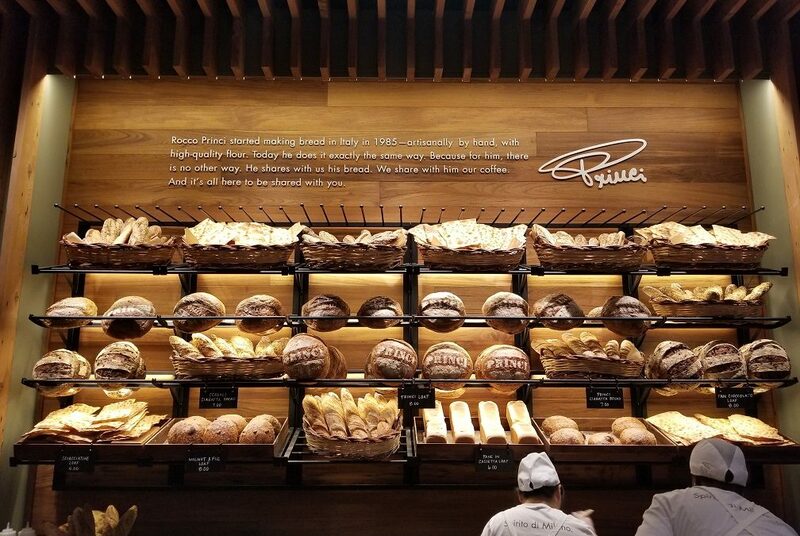 Starbucks has announced that Princi bakery will provide food offerings for the forthcoming Roasteries, to be located in New York, Chicago, Milan, and Shanghai. Starbucks has also proposed that there will be Princi stores as free standing stores in the United States. 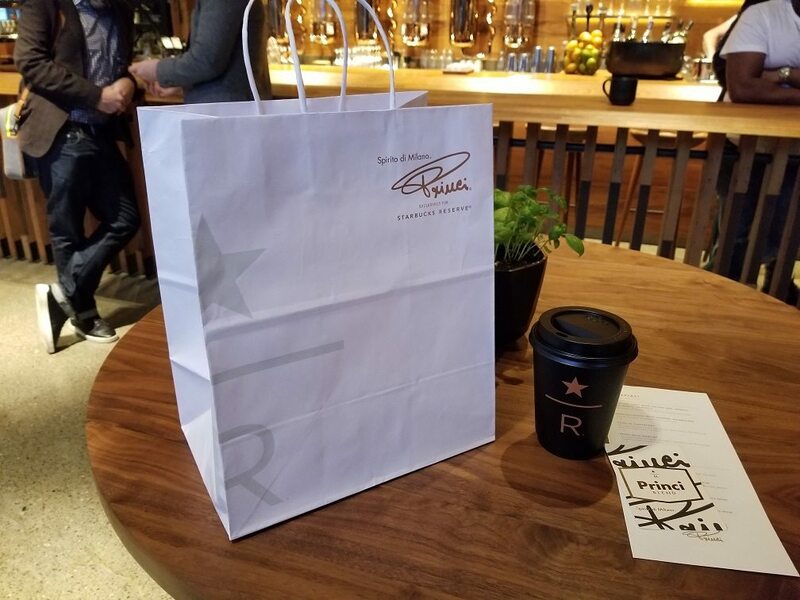 I hope you get the chance to go to Princi at the Roastery! Delicious! I will have to write a follow-up article just on the Princi cold brew offerings. 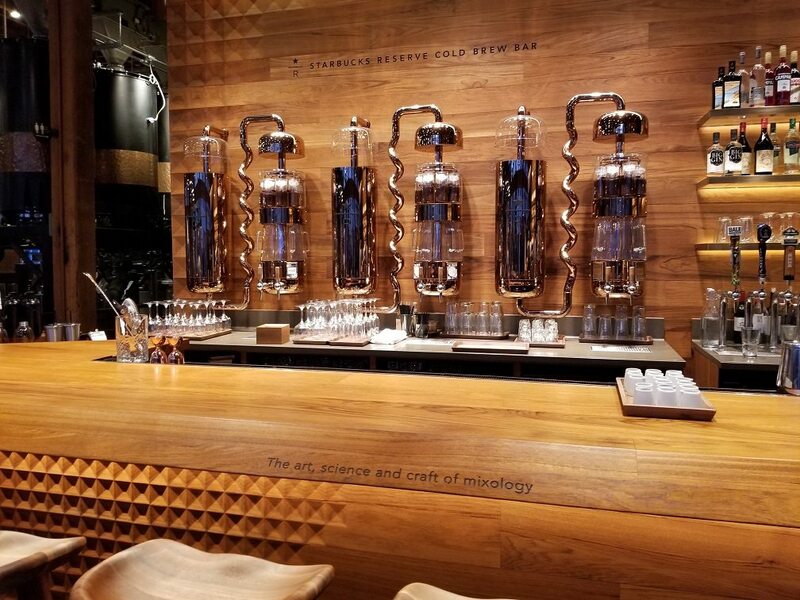 I’m a huge fan of cold brew, and at Princi there are cold brew drippers just for their location with multiple cold brew options! A little mixology at the Roastery. 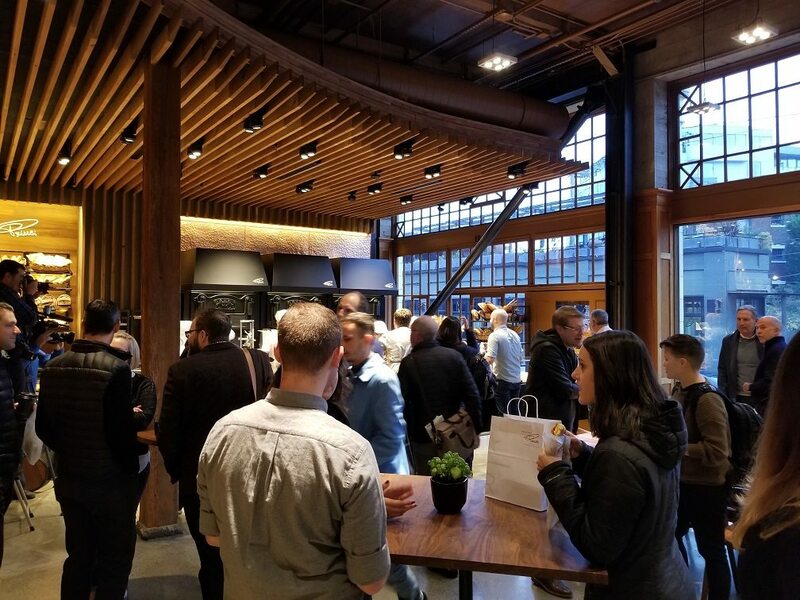 Starbucks Roastery features 2 rare coffees in honor of the SCA expo this weekend. Yummmmm so glad I don’t live there as I’d munch it all up!! I can’t wait until ours opens! And until then, I’m looking forward to more updates from you. HAPPY VETERANS DAY MELODY!!! I’m just sad That the scratch and sniff button didn’t work. I need a work gig in Seattle so I can sit in the middle of this gorgeous space and have a glorious sensory experience! CD – Thank you for the Veteran’s Day thoughts! There’s no doubt it’s delicious! I’m sitting here eating “Eggs in Purgatory” and drinking Pantheon Blend. There is a small white paper menu listing a few of the items that are not obvious at all. I should scan that to this article too.